You’ve been spending the last 3 – 4 years working through your days, nights, holidays, birthdays and Christmases – you name it, you had to take time out to study. But you’ve finally made it! Finally holding that “Graduate” status, it’s been a long hard slog, but you’ve done it. Now you’re about to enter the big bad world of adulthood. Here are some tips we have put together that’ll hopefully help you in your next big step into employment. The second most valuable thing you can do while at Uni (besides your actual degree) is Work experience. Work experience is a wonderful way to get first-hand experience as a trainee, into the industry you’d like to get into. You can use it to build skills, contacts and experience which will become very useful when you’re looking for your first job. Many people get their first industry jobs from work experience they have on their CV. It looks good to your future employer because you have volunteered your free time to gain experience, it shows passion. 2. It’s okay to take a holiday! The pressure to find work straight out of university is going to come from every direction, but don’t be afraid to take a break. You’ve been working hard, it’s okay to take a breather before delving into working life where getting time off to take a holiday, can sometimes be a harder task than the job itself! 3. Take all the advice you can get. You are going to meet so many people that know a lot. Learn to learn from other people’s specialisms, experiences, mistakes and successes. Take as much advice from you peers, managers, and teachers. They’ll be able to give you some good solid hands on advice that they have also had to learn from, which will hopefully benefit you. 4. Stay social and network! Social media is a fantastic tool to connect with old, current and (hopefully) future colleagues and employers. Websites like LinkedIn mean you can learn about job roles, companies, and live jobs that you can apply for with your profile. LinkedIn also have groups and hold seminars that can help you as a job seeker. Facebook can also be a good platform to connect professionally as well as personally. There are groups on Facebook that you can join that allow employers to post job requirements to a targeted audience rather than a platform such as LinkedIn which publishes job ads to all sectors. Networking events are also a brilliant way to learn about new emerging things about your industry, such as the Recruitment Industry Expo for recruiters, or The London Textiles Fair for fashion labels, tailors and seamstresses. You’ve now got your qualification, so it’s time to talk about your experience and build your CV. Talk about what you have learned and the skills you have gained, but be sure to differentiate what you learnt at Uni, and what you learned professionally. I always say “don’t be afraid to sell yourself!” but I always follow that up with, “don’t try and over sell”. You might be qualified, but you probably won’t be experienced in the industry you’ve just graduated from. This also applies to applying to jobs at your level. If you apply to jobs that require more experience than you have, be prepared for disappointment. When you graduate, you are going to need to start at the bottom and work your way up. Whether that be in PR, Broadcast, Market Research, Post Production or even the financial or medical industries. We all have to start somewhere. 6. Don’t burn bridges with anyone. When you leave high school, you have favourite teachers, and teachers you are very pleased to see the back of. You get that in the working world too, except sticking two fingers up to your ex-boss who you had great pleasure in handing your notice to, is not advised. Burning bridges with any old colleagues, class mates or even teachers might come back and bite you, especially in small industries such as the Media industry. Everyone seems to know someone you know, and one bad reference (formal or informal) could mean bad news when applying to work with them. My best advice is don’t drag your colleagues down just so you can be successful, support your peers and remember, no one will forget that time you publicly slagged off Laura in Accounts because she spelt your name wrong. 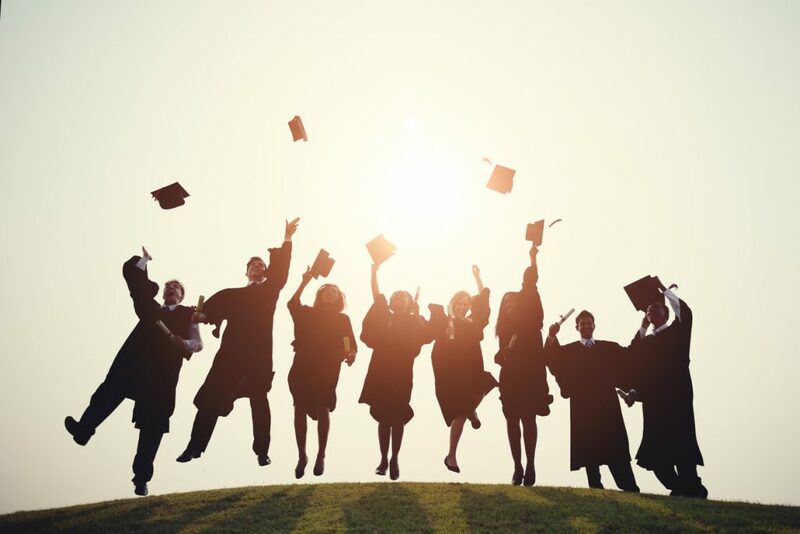 It’s about to get very competitive in the recruitment world, thousands of people graduate each year, putting more strain on junior job seekers to find the best first job. But fear not! There are now loads of graduate schemes across multiple industries that offer a broad range of opportunities for the recent grad. After you send your CV, give them a call to follow up. That’ll help you stand out and keep you on their radar. 8. Be Malleable but Valuable. When applying for a junior role, always remember that the hirer probably doesn’t expect you to know everything. They expect you to have enough knowledge to go in with something, but they will want to train you and teach you the ways their company rolls. This fires back to “don’t over sell yourself”, you don’t want to be a “know-it-all”. Most of the time, hirers know what experience you’re going to graduate with and they know what was entailed in your degree. What they won’t know if you how passionate you are about the industry, how much work experience you did and what additional training classes you completed. Never forget that your drive, interest, knowledge and experience will be as valuable to the company as the successes they hope you’ll achieve. During that quiet period of your job search, try and always keep up to date with your skills. Attend training courses, keep networking and always keep a fresh batch of skills for your next employer. This goes with your job search too, practice for your interviews using interview questions online, talking with friends and family and prep with your recruitment consultant. Never forget that you’ll be wanting to find a company that fits you culturally as well as suits your career choice. Think about what you’d like in a company, and what kind of environment you’re looking for. Some prefer easy going without much pressure, and some thrive in a fast paced environment whilst under pressure. Most employers base their hires on experience and personality, so be yourself! You don’t want to pretend to love sports, or put on a posh accent. They’ll hire you for you, and if they don’t? Then it’s not meant to be. Next article: So you want to work in Post-Production?